Is There Anything Worse Than Losing One’s Maid? 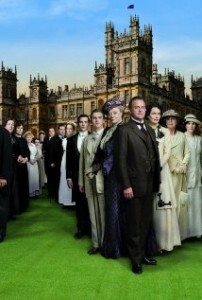 Ah, how I love Downton Abbey! (I’ve just finished Season Two, so no spoilers, please!) Yes, the upper classes providing for the lower classes by creating jobs for them as servants. How civilized. Talking with he-who-doesn’t-want-to-be-named, I was marveling at how it must have felt to have someone do everything for you: cooking, laying out your clothes, cleaning, laundry. And then it struck me.